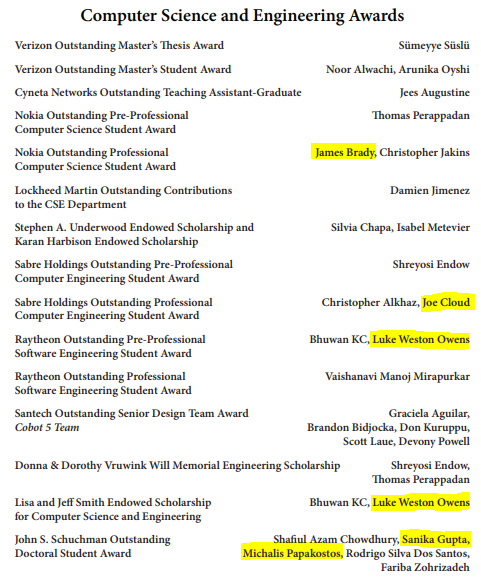 Congratulations to Sanika Gupta, Michalis Papakostas, Joe Cloud, James Brady, and Luke Owens for recieving Academic Excellence Awards on April 10, 2019! Full list found here. Michalis Papakostas passed his thesis defense on April 9, 2019. He will be continuing his education at the University of Michigan as a Post Doctoral Student. 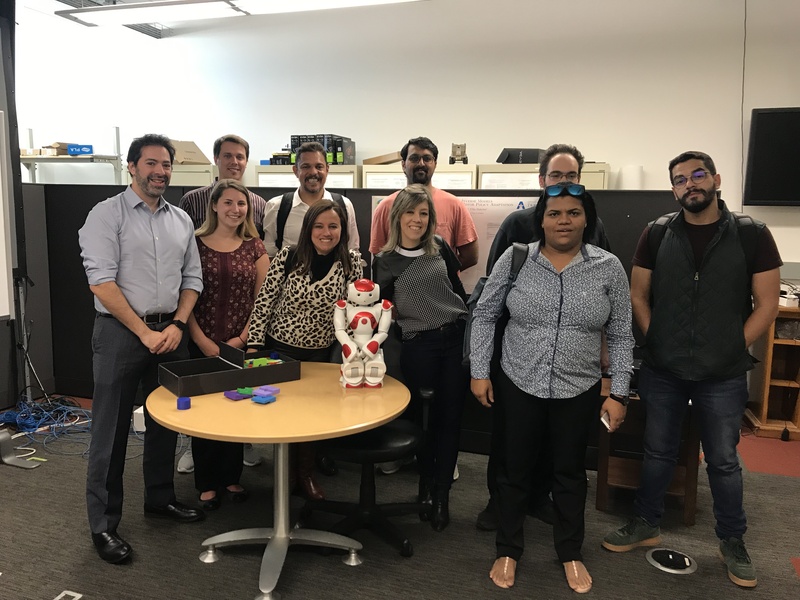 The Heracleia Lab welcomed Business Professionals from Brazil to explore the robots used in our lab. Picture here. Grace Hopper Scholarship Congratulations to Sanika Gupta on receiving the 2018 Grace Hopper Scholarship. This scholarship covers the cost to attend the 3 day conference with all expenses covered. The Grace Hopper Celebration is the world's largest gathering of women technologists. It is produced by AnitaB.org and presented in partnership with ACM. Dr. Makedon and Heracleia Team Receive NSF Grant. This million-dollar Partnerships for Innovation (Building Innovation Capacity) grant will go toward funding vocational projects like iWork, a vocational training, assessment, and rehabilitation system. Additional PIs on the grant include Dr. Morris Bell from Yale University, and Dr. Vassilis Athitsos and Dr. Nicolette Hass from UTA. USF NSF I/UCRC iPerform Planning Grant Meeting. This planning grant meeting will be focused on establishing collaboration between iPerform and the University of South Florida. IUCRC Biennial Conference 2017. iPerform Researcher Dr. Shawn Gieser will be attending the IUCRC Biennial Conference in Arlington, VA.